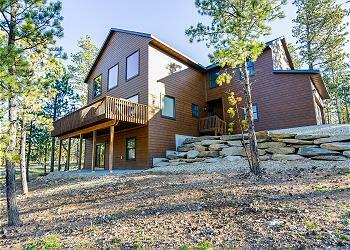 Black Hills Hideaway is the perfect destination home on your next Black Hills vacation. This 4 bedroom home comes complete with a hot tub, wrap around deck, newly renovated with vaulted ceilings and large windows and is walking distance to Terry Peak! Views of the Beautiful Black Hills in this Cozy Cabin! - Sturgis Rally Rental. Custom 6 bedroom property in popular Gilded Mountain subdivision with Access to clubhouse, heated pool, rec room, and more! Large property with all the amenities from home and space to spread out! Hot tub at the property with ample parking. Enjoy this larger home that's within walking distance to Terry Peak! - Large home with all your favorite amenities - Hot Tub/WiFi/Game Table and plenty of room for your group to enjoy the Black Hills! Beautiful home away from home located in popular Gilded Mountain - secluded community with a heated swimming pool! Perfect for your whole family! 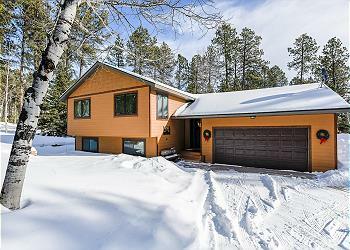 Close to ATV/Snowmobile trails, Ski slopes, and historic Deadwood! You won't want to miss out on this cabin! Walk into your very own own home away from home just off Hwy 85/15 with convenient access to all local amenities and local trails. 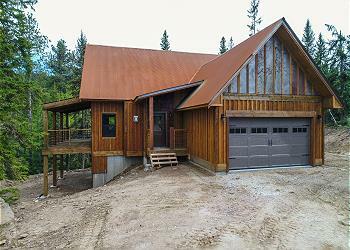 This home offers relaxing amenities after days out enjoying the local trails and roads. You'll fall in love with Lazy L Lodge with it's newly built amenities constructed with amazing craftsmanship, hot tub, large deck with a view, pool table, foosball table, and two wonderful fireplaces. 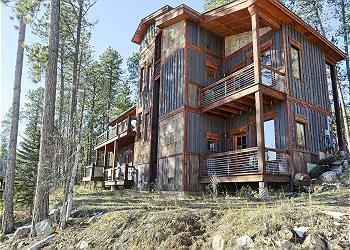 You'll be living a Black Hills vacation dream! Brand New Property in new Development - Powderhouse Pass. 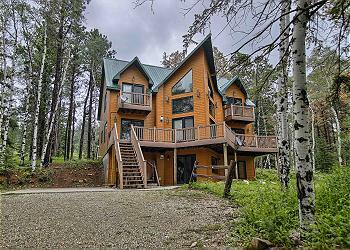 Wonderful property with the best amenities you can find in the Black Hills. Close to everything! Terry Peak, Deer Mountain, Lead/Deadwood, Spearfish Canyon and more! With a name like Door 4, this cabin just exudes charm and interest. 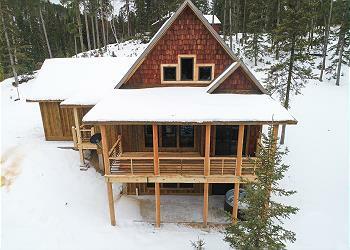 It's the perfect 4 bedroom cabin nestled in the trees near Terry Peak. It has a fantastic view from the covered deck and hot tub, and has 9 queen beds with room up to 18 people!